Microsoft’s brand new Recon Tech Wireless Xbox One controller will be available tomorrow, May 8th, 2017, for $99.95. 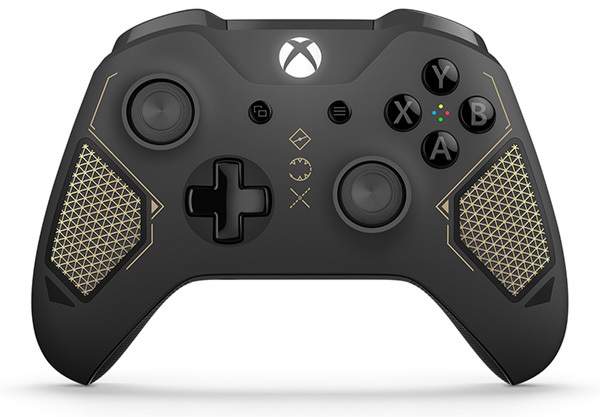 The special edition controller features rubberised diamond grips and a stylish dark grey military-inspired design. Like the other controllers released post-Xbox One S, this controller has Bluetooth technology for PC compatibility, a standard 3.5mm headphone jack and twice the wireless range of its predecessors. While it’s not the most exciting nor innovative controller design we’ve ever seen, it’s a nice addition to any collector’s line-up and if you’re in the market for an upgrade, the extra grip makes the Recon Tech a solid choice.